Hear from UTA alumni and employers what skills they use in the workplace and examples of how those skills are applied. 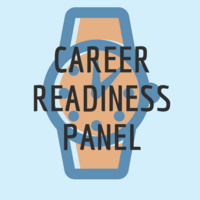 You will also learn tips for identifying and talking about relevant skills during the job search process and what UTA alums and employers wish they would have known before starting their first job. Bring any questions you have an you can ask them to the panelists!